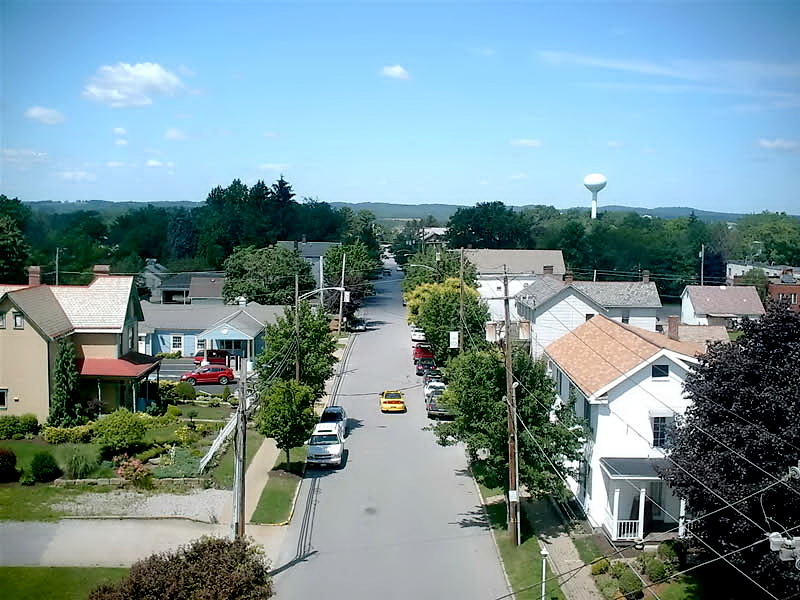 View from the clocktower of the Old Church located at the head of Main Street. 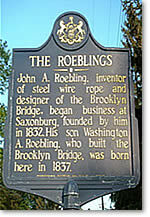 John Roebling's Historic Saxonburg Society, Inc. is dedicated to the preservation of the historic heritage and architectural style of Saxonburg and to maintaining a unique community through the promotion of community events and economic development throughout the borough. Behind the historic beauty of Main Street, you'll find a thriving contemporary community of shops, restaurants, salons, professional services and unique Bed & Breakfasts. Whether you visit during one our many events, or take in the simpler life in the library patio on a summer evening�you are always welcome.